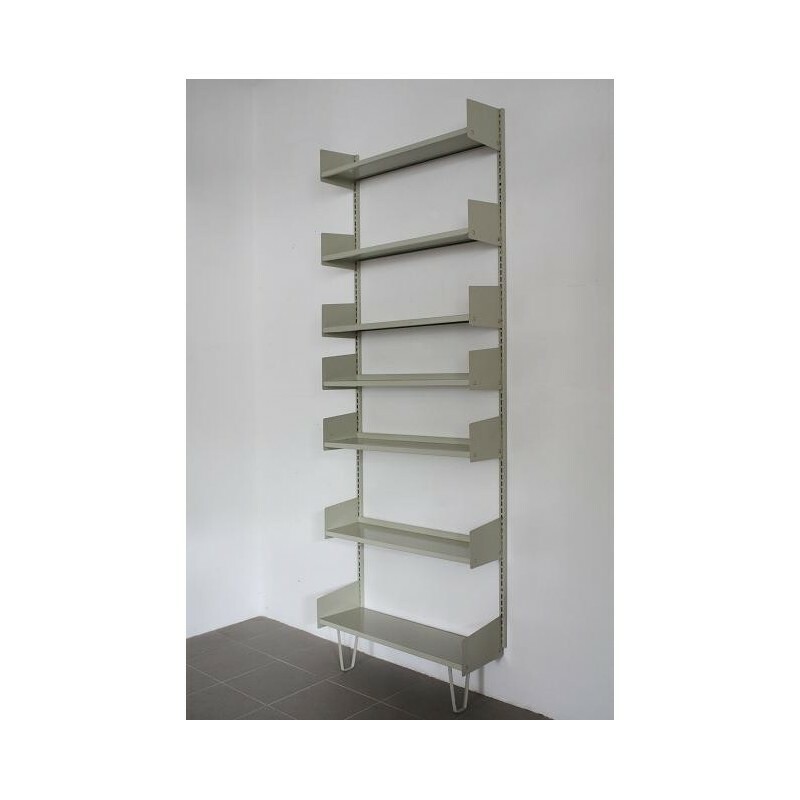 Industrial wall system designed by Rudolf Koreska for Reska in 1963 in Denmark. 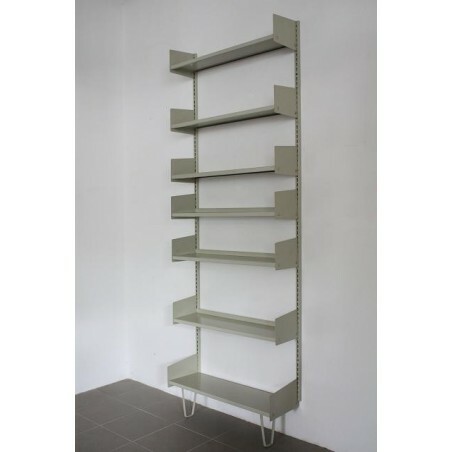 The metal system is light gray in color and consists of 2 wall brackets 200 cm high, 1 shelf of 75 cm by 25 cm, 6 shelves of 75 cm by 20 cm, 14 sides and 2 feet. The total height is 222 cm. The wall system is in a good condition.